The vice presidential debate this week is likely to fetch low ratings, as each candidate has been massively overshadowed by their party’s larger-than-life and controversial presidential nominees. 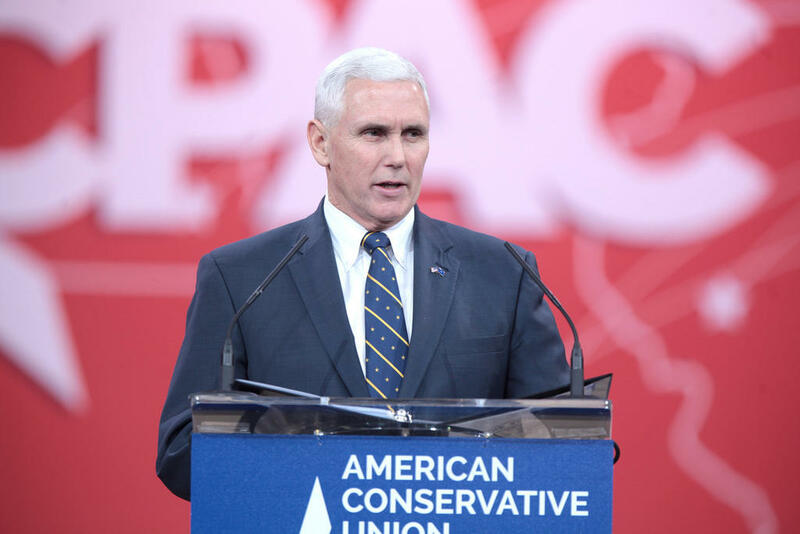 However, viewers should tune in to get a glimpse of the man Republican leaders are REALLY hoping to make the next President of the United States: Mike Pence. It’s no secret that Republican Party leaders have been holding their noses when it comes to the GOP nominee. While some Republicans have publicly stated they will not vote for Trump, most Republican officials and party leaders have walked a tightrope, saying they support their party’s nominee (out of party loyalty) while at the same time cautiously expressing concern about him and rebuking some of his outbursts. There’s no secret here. Republican leaders recognize Trump is completely unfit for the presidency as much as Democrats and independents do. So why would they continue to support him? The answer is simple, really. As has been obvious this entire campaign, Trump can’t get out of his own way. He has shown he is too thin-skinned to restrain himself when he gets criticized and spouts off with outrageous comments. Between the Trump University controversy, his federal taxes and other problems, he is open to too many scandals. He doesn’t even seem to grasp the basic tenets that our democracy was built on. If Trump wins, one of the few things you can absolutely bank on is he will do something within the first 12 months to get impeachment hearings started. Democrats would certainly be chomping at the bit to get rid of him. But, here’s the kicker: So would most Republican lawmakers. Paul Ryan, Mitch McConnell, Marco Rubio and the rest of the GOP leadership doesn’t want to see a Trump presidency. With their words of caution and concern about Trump, they are already laying the groundwork to pull all of their support from him. Who would they rather have as president? Donald Trump or Mike Pence? The answer is pretty clear. If . . . no, when impeachment proceedings begin in the Trump presidency, Republican leaders would be downright eager to get rid of Trump – an unpredictable wildcard who they don’t view as one of their own – and have Mike Pence take over the White House for the bulk of the next presidential term. So when you are viewing this week’s vice presidential debate, remember this is the guy Republicans are really hoping is your next president.